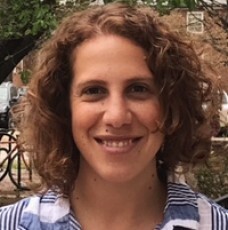 Cynthia Boruchowicz, a national of Argentina, is a second year PhD student at Maryland’s School of Public Policy (MSPP) specializing in international development. Her research involves the analysis of spending policies and their effect on labor markets. She holds a BA in Economics from Universidad del CEMA (Argentina) and a Masters in Public Policy from the University of Chicago. Prior to starting her PhD studies, Cynthia worked at the Inter-American Development Bank. She first was a Research Fellow at the Research Department working on issues related to housing, urban development and crime in Latin America and the Caribbean. She worked then as a Development Effectiveness Officer within the private sector of the Bank, where she provided development impact analysis for the operations of her division. Her previous experience includes positions at the National Opinion Research Center (NORC) and at the Economic Section of the Embassy of the United States in Buenos Aires, Argentina. Cynthia's Peace Fellowship consisted of supporting a Nepali NGO named CONCERN in its mission to end child labor in local brick factories. After spending 10-weeks with CONCERN, Cynthia said, "I went to Nepal hoping to provide professional services to a local NGO, and in that way contribute to their capacity building. I ended up gaining more professional and personal skills than I've could ever imagined. Nepal and CONCERN will always have a special place in my heart". When I first arrived to Kathmandu, Bijaya’s email read “welcome to our dusty capital city”. The perfect week: meeting CONCERN’s kids!